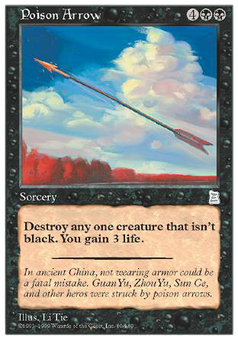 Poison Arrow ($2.95) Price History from major stores - Portal Three Kingdoms - MTGPrice.com Values for Ebay, Amazon and hobby stores! 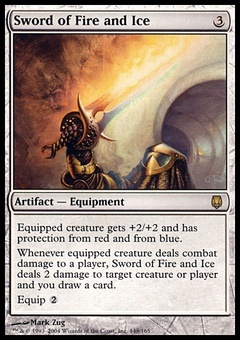 Card Text: Destroy target nonblack creature. You gain 3 life. 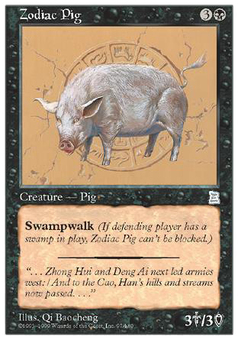 Flavor Text: In ancient China, not wearing armor could be a fatal mistake. Guan Yu, Zhou Yu, Sun Ce, and other heros were struck by poison arrows.